Macao Post will issue a Postage Paid Postcard on 24th August, 2016. 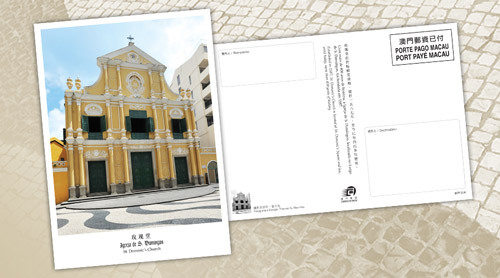 This postcard with the image of St. Dominic’s Church will be available for sale at the Macao Post Headquarters, all post offices and postal kiosks. St. Dominic’s Church was established in 1587, located at St. Dominic’s Square and has, until today, more than 400 years of history. This Postage Paid Postcard priced at MOP10.00 each can be sent to every corner of the world without stamp.